The memory of Your prophets Zachariah and Elizabeth / We celebrate today, O Lord. / By their prayers, we beseech You, / O Christ God, save our souls! Robed in the vestments of the priesthood, / according to the Law of God you offered whole-burnt offerings in a sacred manner, wise Zachariah. / You became a luminary and a seer of the mysteries, / bearing within yourself the signs of grace, all-wise one. / Slain by the sword in the temple of God, O prophet of Christ, / intercede together with the Forerunner / that our souls may be saved. 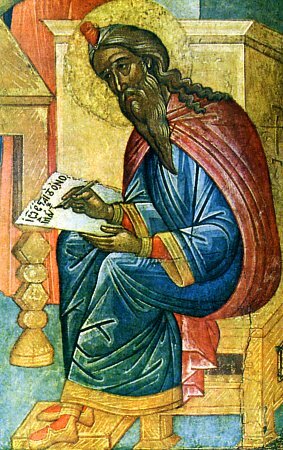 Today the prophet Zachariah, priest of the Most High / and parent of the Forerunner, / has prepared a banquet to his memory to nourish the faithful, / mixing the drink of righteousness. / Therefore we praise him as a divine initiate of the grace of God.